Baby Monitor Mistakes Most Parents Make - Which? Buy your baby monitor with confidence. Watch our video to find out what other parents wish they'd known before they shopped. How much money do you need to spend on a baby monitor for peace of mind while your baby sleeps? Should you choose a feature-packed fancy video baby monitor or one with a camera? Or will a good old audio monitor be the best for you? We asked parents to tell us the mistakes they made buying their baby monitor and what they wish they'd known before they hit the shops. Watch our video to find out which type of monitor parents think is best for newborns and which one is good for older babies, plus other helpful tips, such as when parents think is the best time to buy a monitor, and more. Which baby monitor brand is best? 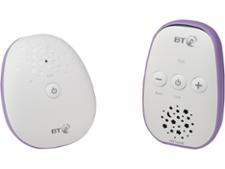 Browse our verdict on Motorola, BT, Tomy baby monitors and more in our baby monitor reviews. We reveal the top five baby monitor mistakes parents make. Read before you buy. If you’re naturally anxious, a video baby monitor you can look at all the time might end up freaking you out rather than reassuring you, so an audio-only monitor (which will simply alert you when your baby has woken up and is crying) might be the better option. With so many different types of baby monitors available, it's worth thinking about what you actually want it to do. Do you want a baby monitor with all the latest technology you can access from your computer at work? Do you live in a big house, so need your baby monitor signal to travel a long way? Do you want to be able to see your baby as well as hear them? Think carefully about what you want your baby monitor to do and, if there is more than one parent in the house, that you both agree on what those things are before you head out shopping. Baby monitors can have a lot of flashing lights, screens and backlights, depending on the type you buy. Some of them are quite bright, especially if the parent unit will sit on your bedside table. Think about whether this will disturb your sleep (on the rare moments you get when your baby is sleeping soundly). Buying a baby monitor with a wi-fi connection? Check the reception in your nursery. Otherwise a bad connection could mean your baby monitor doesn’t work as it should, leaving you more anxious than if you didn’t have one. Baby monitor battery life is particularly important if you don't have a plug near to where you place the baby monitor. Otherwise you could end up like one of the parents we interviewed: frantically trying to charge your baby monitor, while tackling feeding and crying when their baby awoke. 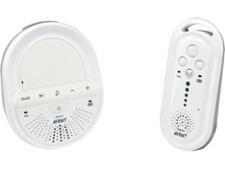 Best baby monitors – discover the baby monitors that won't cut out. Not a Which? member? Join Which? to access these and our thousands of other independent reviews.